Highly motivated to be successful, students at IER are happy to be here. University would be out of reach for most without the education we offer. ​Children in this rural area may or may not complete the “obligatory” 6th grade education. Typically, girls help parents with household chores and care for younger siblings, nieces, and nephews. As young teens, many are lured away from these responsibilities by “romance” that often leads to abandonment, often with babies and no money or education to rescue them from this cycle. The boys usually farm with their fathers or leave the area in search of work. Almost everyone in this area lives by clearing the steep mountain slopes to grow corn, beans, rice, and coffee. This life requires hard physical labor that barely yields enough to feed the families. To attend IER, many students travel over an hour, crossing rivers and mountains on foot. Many come hungry. Many are from broken or abusive homes. Others have been abandoned by parents. However, they dress neatly, laugh freely, and study diligently. We believe that Christian education is the key to breaking the cycle of poverty. The students who come to IER have an opportunity to grow in knowledge and wisdom. They have the chance to graduate high school and then university to obtain a productive job and make a powerful positive impact on the world. While most of our university graduates move to the cities, many have returned to invest in their communities. Many IER graduates have graduated from university and have successful, rewarding careers as doctors, engineers, teachers, and in the tourist industry . ​We strive to help students recognize their individual value and to pursue their dreams. We are so excited for what God is doing through Instituto El Rey, but only God knows the far-reaching impact of IER’s Christian education! ​I was a young boy who didn’t want to study after I finished elementary school. Also in this area, we didn’t have a place to keep studying…a high school. Just on time, when I finished elementary school, IER opened and I entered. That day was the first step to say yes to a life full of challenges. IER was my other home…it was a place full of peace, Christian values, and teachers with a lot of capacity. Before I did not have Christ in my life, but at IER, I got to know Him. ​Four years later, I understood the real sense of life when you have God. IER changed my mentality. There were teachers that encouraged me to do everything correctly, to believe in my own capacity, to help me to dream, and always to look for the will of God for my life. 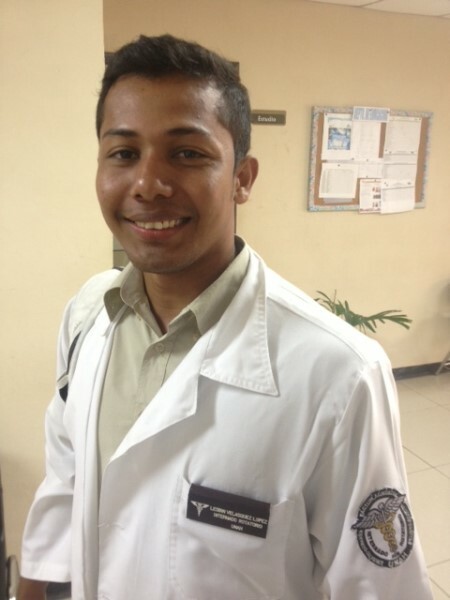 IER gave me a big desire to help other people, and I decided to study medicine. Through IER I met a group of missionaries with “Agua Viva” that wanted to help me to keep studying after graduating IER. So I am really glad with God and all the people involved with IER who helped me to make my dreams come true. IER changed me in every aspect of my life.